What’s the one thing starting today that you could start doing, stop doing, or change that would have a dramatic impact on your client relationships? It’s an excellent question and I hope you’ll take a moment to consider your response. It sometimes takes a great deal of effort and an extraordinary amount of energy to close “a big deal.” Never forget, it may take even more effort and energy, to keep the business after you win it. It takes courage to get the business and creativity and imagination to keep it. Consider the word AWESOME and all that means. To be awesome is to be formidable, imposing, grand, impressive, outstanding, wonderful, excellent, and even remarkable. Most salespeople don’t even think in terms of being AWESOME. They walk around doing a great imitation of benign mediocrity. It doesn’t take much to leap from the ordinary to the extraordinary, but it does take effort. It’s all about leaving a great first impression, not merely a good one. It’s about delighting your customers, not just satisfying them. It’s about rising above the crowd, not being lost in it. Here are some ideas for you on how to be AWESOME for your customers. A deep question always leaves its mark i.e. “What would have to happen for you to consider us as your best supplier?” Another really inspired question is, “How do you measure success when working with your current supplier?” David Frost, the famous interviewer, once said “you can tell the quality of a question by the quality of the response.” Are you asking quality questions? If not, why not? W – Work your priorities and prioritize your work. Prioritizing will make you enterprising. To be really effective you must be able to distinguish between what is urgent and what is important. Be careful not to start the very fires you’re trying to put out. For example, eliminate the following from your voice mail message, “if it’s really important page me or call me on my cell phone.” The only people who don’t possess a FedEx mentality are the people who work for FedEx. Everybody else thinks everything else is a high priority. Get a grip, get a life, and begin everyday with the list (prioritized with numbers) of the 6 most important things you want to complete and don’t encourage the distractions. Develop the habit of sticking to your list of priorities and only deviate from your list if a higher priority lands on your desk. The best salespeople and sales managers always take care of the most important stuff first. They are not easily distracted. Set you priorities for the day and focus on them like a laser beam and only take your eyes off them for a higher priority. E – Energize yourself every day with a positive attitude. People with positive attitudes live longer, enjoy life more, and tend to be more likable, from their customers perspective. I learned a long time ago, we choose to affect or infect the people we meet every day. Don’t bring your personal problems to work because they never add value to your customers. If life has dealt you a difficult set of cards right now, deal with them privately and put your troubles on a trouble tree when you leave for your first sales call. Remember, your customers have their own problems, so there’s no need to burden them with yours. People with positive attitudes are enthusiastic, animated, excited, smiling, and always expect the best things to happen. “Your face is your own fault after age 40,” according to Cicero, so check it often with a mirror. How you handle your problems says a lot about you. S – Style is important. If you agree you must feel like a chameleon. Most strained interpersonal relationships are created by different styles. There is the “Driver” who is very assertive, demanding and autocratic. There is also the “Expressive” who is extremely sociable, loves to talk, and lousy with details. Then there is the “Analytical” who is very precise, organized, and extremely neat. Finally, there is the “Amiable” who is generally low-key, trusting, and very innovative. One of the biggest keys to selling success is the art of adapting your selling style to your customers’ buying style. This is easy to say and hard to do. To learn more about behavioral styles, read articles, buy books and listen to audiocassette training tapes on the subject. This is one subject where ignorance is definitely not bliss. O – Others focused. 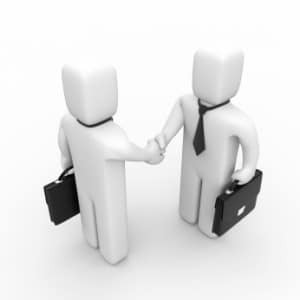 Another key to successful selling is the ability to build relationships while taking care of business. Here are some ideas for you: don’t make people feel invisible, always maintain good eye contact, remember, you can’t smile enough on the telephone or in person, to stay connected – ask people who get your voice mail message to leave their e-mail address and telephone number, watch your body language, buy a composition notebook to record all your relationship-building ideas, only do dog and pony shows if your customer needs a dog and pony, add the words “for you” to the end of your sentences, every four months record your end of your telephone calls to improve the quality of your calls, blaming is shaming so don’t do it, always take notes to demonstrate that you care and you are listening, and always take the time to say “Thank you” to everyone who contributes to your success. M – Master the business basics. Listen to your voice mail message. If it doesn’t sound upbeat, enthusiastic and professional change it. E-mail is a way to communicate. Use creative subject lines and remember less is more if you want your message to be understood. Never call a meeting without first preparing an agenda. Begin all meetings on time. End your meetings on time. Secure commitments for who is going to do what and by when. Form the habit of writing personal handwritten notes using a fountain pen. It’s a great way to be a high-touch person in the high-tech world we live in today. Try being more likable, agreeable, adaptable, and relatable. Maintain your focus on the other person, especially when its a customer. E – Enthusiasm and passion are powerful attributes for professional salespeople to cultivate. Too many people are dying on the job today and still working. Some people walk into a room and breathe life into it. Other people walk into the same room and do their best to vent all the oxygen. Get excited about your work. If you don’t like it, change it. Your life is too important and too short, to waste it doing something you hate doing. Be yourself and avoid trying to imitate somebody else. Have an attitude of gratitude. Say “thank you” often. That kind gesture will make someone’s day a better one. Enthusiasm is contagious and so is the negative stuff. Enthusiasm is an acquired quality and it’s FREE! Go out and get some, if you’re running low. If you want to take, your sales career to the next level learn do the unthinkable. Quit saying “I’ve always done it this way.” Quit following the crowd. Take a new path to solve old customer problems. The old way may not be the better way. If you’re too comfortable, it’s time to change. Always aim higher and you’ll be rewarded handsomely. Being AWESOME is no small task, especially when the customer is doing the evaluation. If you dare to be different, strive to be effective, and are attentive to your clients’ needs, you too can be AWESOME.